Want to read a little of each story? Click on a TITLE. Read the full text of this story for free. 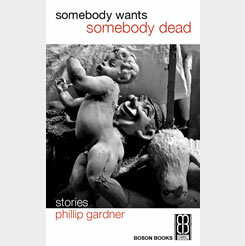 "This new collection leaves no doubt that Phillip Gardner is in the first tier of the South’s finest short story writers. His empathetic imagination, vivid language, and understanding of what makes a memorable story are of the first order. His voice is utterly his own. 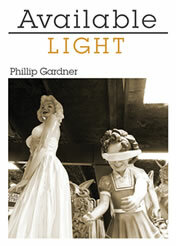 Available Light takes the reader beyond the realm of pain and pleasure and into the sublime." To read the first story, click here. 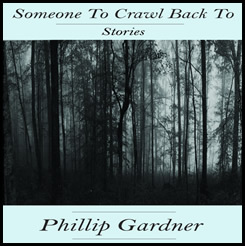 "The Future Never Lasts is more than a collection of beautifully written stories; it's a finger on the pulse of our individual and collective secrets, and Phillip Gardner has masterfully tabulated the cost of hiding them or trying to share them. Some, like the protagonists in "It's Usually This Dark By Now" and "A Crime of Opportunity," can't afford the price tag on those secrets. Others, like the history-haunted veteran in "This Time Comes From That Time" or the teenage narrator in "Mountain," swallow them whole. A few, like the husband and wife in "Augmented Finality" and the three couples in "Ten Things You Don't Know About Me," make uneasy peace with those secrets. Something, though, that's never a secret: open any page of The Future Never Lasts and you will find yourself in the presence of an immensely talented writer." 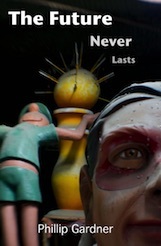 Link to Jeff Driggers' short film adaptation of "Happy Hour"